Mobile and local are now so intertwined, they are almost one and the same. If you are not mobile-first, mobile-ready and mobile-focused, you need to take action right now. 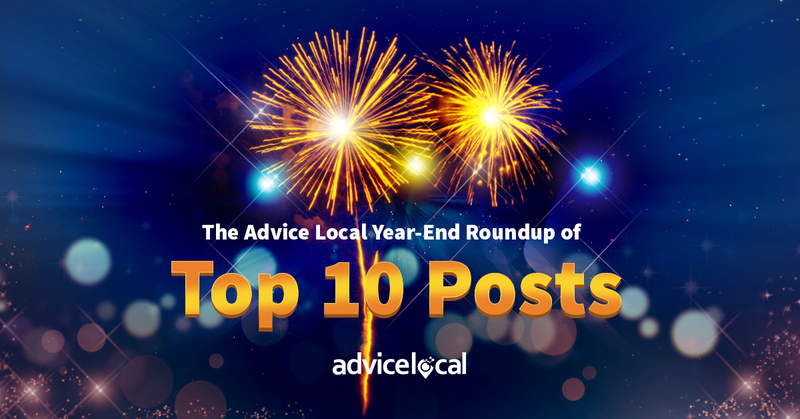 Reviewing the most popular posts on Advice Local from 2016 you’ll quickly see that mobile, local SEO, social media, and search continue to be the hot topics. Of course, with Google being the common theme behind many of them, they still seem to hold the crown. Google’s continued research and concepts such as Micro-Moments are the threads that bind the local and the mobile consumer. So keep reading, and let’s journey back over the last year together. I’m with @Advice_Local! Local, #mobile and micro-moments will drive #business success in 2017. Each year since 2001 Kleiner Perkins Caufield & Byers (KPCB) has generously shared their annual internet trends report. This is one big chunk of wisdom. We built an attractive infographic for ease of reading and reference. Hit the link and check it out! As search engines constantly tweak their algorithms and change the rules for getting found online, being at the top of your SEO game is imperative. Tools are quite helpful but it’s more than that, because tools provide insight that will help you understand how to improve your ranking in SERPs and user satisfaction. So enjoy some of our favorite tools – both the new and the tried-and-true. You’re getting into local SEO, but don’t just “set it and forget it” because SEO is not a one-time event! Think of auditing as performing groundskeeping duties for your website. Cleaning up URLs, optimizing title tags—these things help ensure relevance and make it possible to be discovered in search engine results pages. We’ve rounded up 10 of the most important local SEO audit tips, click this link and check them all out! In a Google My Business (GMB) map listing, where does the consumer’s eye go? Usually right to the featured image, that’s where. The image is a reputation component of the business or brand, and is an important part of online presence. You’d better believe we share an example of what you DON’T want to see for your business. Click to start protecting your brand today! Traveling and looking for a great place to eat or drink? Want to hit some of the must-visit places before you leave town? Find out about using the Facebook Recommendations feature to ask your friends (and their friends if your post is public). Also find out what you need to do to make sure the businesses you represent can easily be recommended by others. Read on for everything you need to know. 6. Get Found in Local with These 5 Must-Haves! Getting found in local search doesn’t happen by accident. A solid local SEO strategy is required to bring in traffic, and that calls for research and planning. Local search is a factor in Micro-Moments: those snippets of time where people conduct various “I-want-to” searches. When 56 percent of on-the-go searches now have local intent, you can see how important it is to be found. And when your business is found you can solve two problems: the consumer’s and your own! Click here for the 5 must-haves to help you get found in local. 7. What Makes a Biz Unique? Add That Info to the Business Listing! Business listings in online directories are part of maintaining a strong web presence. Naturally, the data must be correct, but the listing must also include the key components that will differentiate the business from competitors. This goes from basic elements such as NAP (name, address, phone number) data to important details such as special meals (vegan or gluten-free choices), pet-friendly policy, different languages spoken, extended hours, special services, and so on. Click to read more on how to make a local business stand out across the web. Facebook now gives business owners more control over their social media presence – and a tool to improve conversion rates – via its new page templates. The six new templates join the original default or Standard layout, and are recommended for different business types, such as Restaurants and Cafes, Shopping, Professional Services, etc. Facebook wants to make it easier for businesses to highlight the content that customers, and customers-to-be, want to see most. In all templates (Standard included) it’s possible to rearrange tabs and customize appearance. Extra sections that make sense for the business, like Events or Notes, may be added. Read on for all the stuff you can do! We are awash in micro-moments, and mobile is fueling the rising micro-moment tide. I hope you believe in micro-moments, because Google sure does! They coined the term after analyzing current consumer behavior in our always-on, connected world. People enter these micro-moments at multiple times during their busy day, grabbing their mobile device to learn, do, or buy something. And when they do, your business needs to be there! The micro-moment allows businesses to give consumers information that’s up-to-date and easily accessible. It’s another chance to be seen. Make those micro-moments yours – click here to read on! We all seek prominence in various ways, and our websites and online identity need it as well. In Google’s world, prominence means the degree to which a business is well known. As you might expect, a business’s offline popularity is also factored into determining prominence. Despite algorithm tweaks and changes, Google’s intention is still to bring relevant, high quality search results to users, and that’s what you want, too. To examine what’s still important click here and get to it! What are you going to do different in 2017? What are the hot topics you’ll be focusing on? Comment below and let’s discuss.